This is the beach along Surfers Paradise in Queensland, Australia. I took this as we walked there last month to see the Lego. 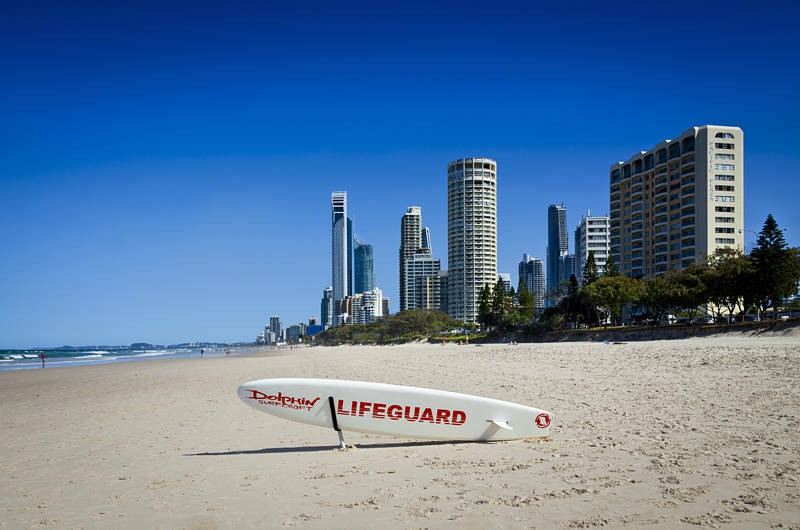 The lifeguards put up red and yellow flags to swim between every so often all the way along the Gold Coast. Nice capture shot. Beautiful light and color !